One of the simplest and hardest things you’ll ever learn on your journey into fitness is how to motivate yourself to work out regularly. In fact, a recent study shows that even being paid to workout, isn’t powerful enough motivation to get us into the gym! The good news ladies is that if motivation is something you really struggle with, you are not alone. Let’s face it; nobody in this world jumps out of bed every single day feeling motivated to workout. It might be that you’ve had a few late nights at work and you’re feeling a little more tired than usual one day, or perhaps you’ve been away on summer vacation and the thought of that first session back is too daunting. Even our very own team of coaches at Curvalicious Ladies Gym Dubai has days where they don’t feel like working out themselves! The main point is if you really want to transform your life, you can’t rely on motivation to get you there, OR use a ‘lack of motivation’ as an excuse to why you haven’t been able to workout as much as you would like to. I’m sure you’ve all come across fitness motivation articles with similar advice: set goals, keep a record, find a buddy, choose great music etc. Of course these things can help but how do we really crack the code of what it is exactly that can help us motivate ourselves to do something we might not always feel like doing? The answer is HABIT. According to researchers at Duke University, habits account for about 40% of our behaviours each day. Building good habits is truly the key to all success and once formed they can be nearly impossible to break. Once something becomes a habit, it becomes a part of your life without even thinking about! It is the building of new habits that takes a little time and a little self-discipline. In this article we’ve chosen what we feel are the 5 most powerful ways to motivate yourself to workout on a regular basis to help you form healthy and unbreakable habits for life. Real rewards are simple but powerful tools that can really help you stay motivated to workout regularly. You can even use them to build healthy habits for life! 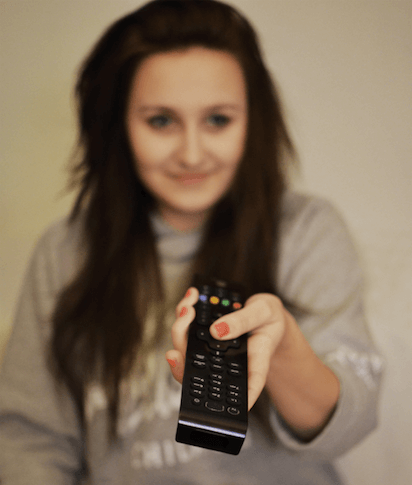 Charles Duhigg, author of ‘The Power of Habit: Why We Do What We Do In Life and Business” recommends having a real tangible reward after your workout such as treating yourself to an episode of your favourite TV show. He suggests having a system which he calls a neurological ‘habit loop’ which has 3 parts. First is the ‘cue’ or ‘trigger’ to your workout, which could be as simple as making your gym bag or preparing your pre-workout snack. Second is the routine itself, which would be your workout or the group class you’ve planned to attend and third is the reward. This, combined with the rush of endorphins after every workout and the physical changes you will slowly begin to see and feel over time, has the power to transform your basic workout routine into an addiction. Being social and forming bonds is a HUGE driving factor, which is why communities such as CrossFit, Yoga, and other group exercise classes and bootcamps around Dubai are so busy and successful! 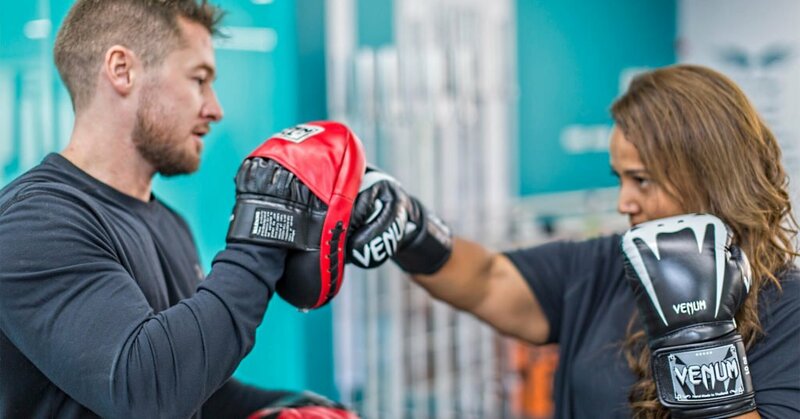 We have our own community of incredible ladies at Curvalicious ladies Gym Dubai and we can tell you first hand that the smiles, jokes, laughs and high fives is exactly what drives our coaches into work everyday. Whatever style of workout you enjoy, find your tribe and you’re workout will quickly become the best part of your day as it is ours everyday with #TeamCurvalicious. While it’s good to have big goals in the background to help steer you in the right direction such as ‘lose X amount of Kilos’ or ‘run a marathon in 2018’, it can be hard to feel like you are achieving much at all in the short term. The key thing to always remember is that consistency and longevity in fitness are more important than any of those big future goals. Keep yourself motivated towards bigger goals by breaking them down into micro-challenges. These challenges should ideally be small, very specific and achievable. For example ‘this week I will attend 3 group exercise sessions’, or even just ‘today I will jog for 15 minutes’. It doesn’t matter how small they are, the point is that by making these micro-challenges you are setting yourself up for success again and again which is much more sustainable and self-motivating in the short term! Keep a record of your micro-challenges somewhere on a piece of paper stuck to the fridge or in your notes on your I-Phone. This way you can physically cross them off as you go along and you will always have a reminder of those achievements to keep you going on the days you need a little extra motivation. Every now and again people need change and variety to keep motivated, it is just in our nature. This is why at Curvalicious we have chosen to combine what we feel are the best exercise styles for women including weightlifting, calisthenics and High Intensity Interval Training into a single program and no two sessions are ever exactly the same. Variety and change in your workout style will not only keep your mind focused but it will also benefit your overall fitness on a physical level! Mixing up your workout style and intensity improves overall fitness because there is no time for your body to adapt to the different training intensities. Last but not least, if you can find a real purpose for your training in the gym, you will rarely need to actively motivate yourself again. Real purpose comes from something that is truly meaningful to you, not just because you know it’s good for you in the long term. For example, external motivators, such as wanting to lose a few kilos in time for the next family reunion or for your next doctor’s appointment, might certainly work in the short term to get you going but usually fade quickly leaving you right back to square one again. Real purpose comes from internal motivators, which are things that truly matter to you on a deeper level. It is worth taking the time out to ask yourself a couple of questions. First, what is it that you truly love, value and enjoy in the world? Second, how can your training in the gym benefit these things? A great shortcut path to finding purpose for your workouts is trying to find a new active hobby or sport such as boxing, cycling, indoor climbing or anything that you enjoy. This way you’ll have a purpose for training by being committed to improve your strength and fitness for the activities you love. Building healthy habits for life takes time and patience but being part of a great community with like-minded people all on the same journey makes it easy! Ladies, if you’re living in Dubai and looking for a private place to train, just fill out the form below to join #TeamCurvalicious for a FREE session!